Greek food has swiftly been climbing the popularity charts, especially since it’s now a well-known fact that Mediterranean cuisine is one of the healthiest diets to eat. Grecian goodies pack quite a punch as they’re not only healthy, but also extremely delicious. Authentic Greek food is all about the big, bold, earthy flavors, seasonal greens and fresh meat and seafood. The best thing about it is that it is perfectly spiced – neither too much to overwhelm you, nor too less to leave you dissatisfied. If you like the flavors of olive oil, garlic, exotic spices and herbs like oregano, basil and thyme, you’re going to fall in love with Greek cuisine. The Greeks are simple people and so is their food. They love their food and prepare a variety of items to provide a rich and fulfilling gastronomic experience to their guests. Mentioned ahead are a few Grecian delights that everyone must try at least once. 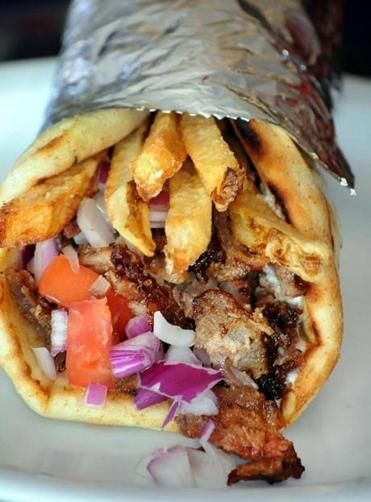 The gyro is probably the most famous Greek food. One may say it resembles the shawarma, but it is different and quite versatile. It is a pita bread sandwich stuffed with a few standard ingredients like tomatoes, meat, onions, tzatziki and a whole lot of spices including salt, and red and black pepper. Oftentimes, the stuffing is supplemented with French fries, tomato ketchup and/or mustard. The end result? Simply lip-smacking! This is definitely going to be there on every Greek menu. 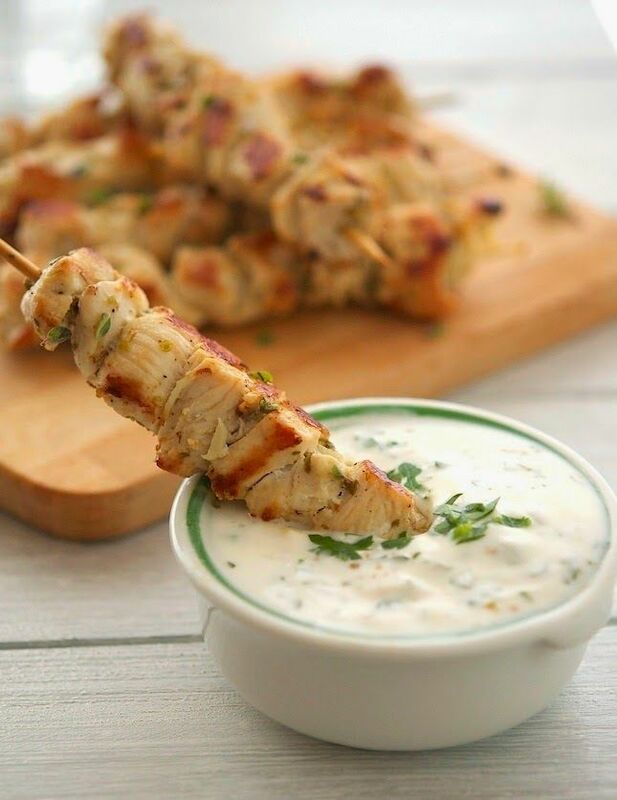 Souvlaki means ‘little skewers’ in Greek and this wonderful dish entails different meats like lamb, beef, chicken or pork cooked in the traditional way – on skewers, and served with vegetables, rice and/or pita bread and a dash of yogurt sauce. You can get them on a platter or eat as a sandwich. 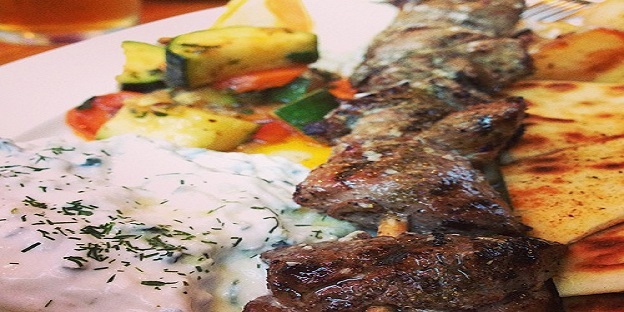 Souvlaki is quite healthy with the protein from the meat and the nutrition from the vegetables. Don’t be surprised to find modern variations like the seafood souvlaki listed somewhere on a contemporary Greek menu. If you like pastry, wait till you try spanakopita! 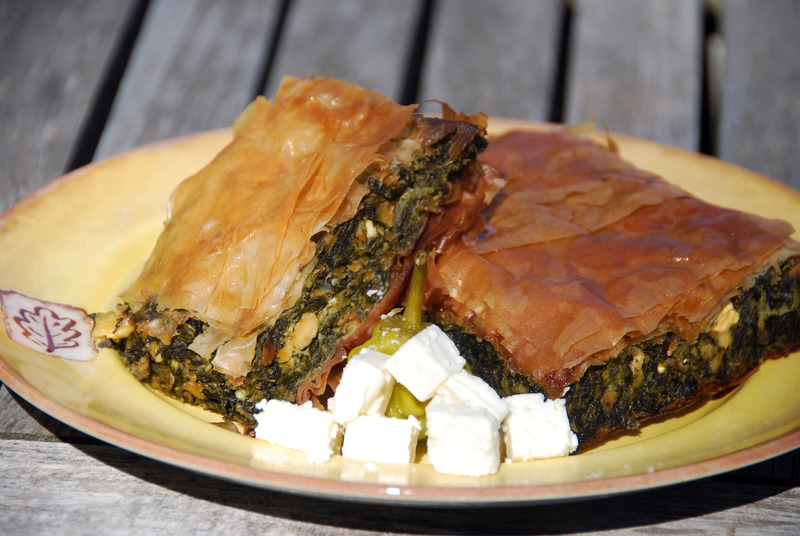 You’re going to love its texture – a crisp filo pastry stuffed with soft dark green spinach and chunky pieces of melting feta cheese. Your mouth’s already watering, isn’t it? These savory pastries are sure to hit all the right spots on your taste buds. This one’s a treat for all the cheese-loving people. 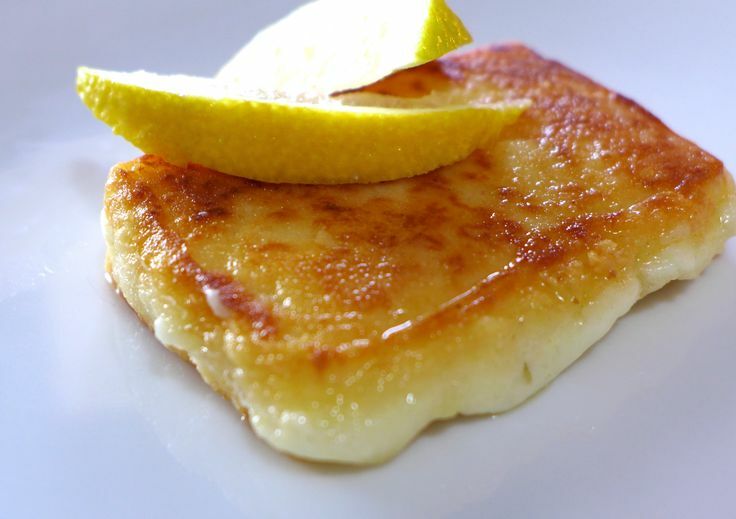 Saganaki is deep fried cheese. Several varieties of cheese can be used to make this dish. In some places, you can even flambé the cheese and put out the flames with lemon juice. Again, deep friend cheese. Enough said! 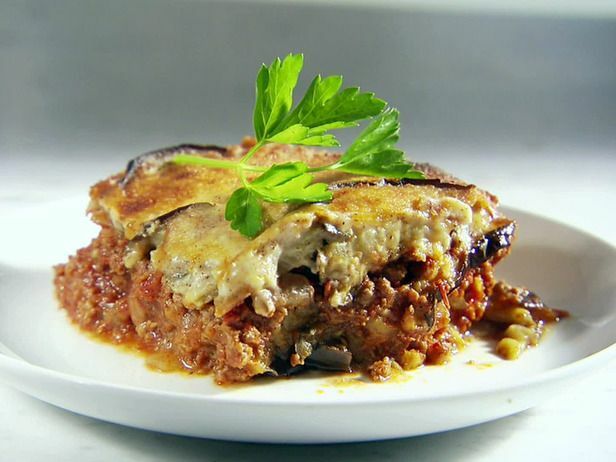 While various versions of moussaka can be found all over the world, the authentic Greek version calls for the layering of minced meat, sautéed aubergine, fried and pureed tomatoes, onions and a little bit of potatoes. It is spiced with garlic, cinnamon and allspice. But, the final topping of cheese and béchamel sauce is what actually makes this dish so irresistible. Do try! Another well-known dish all over the globe, calamari (Kalamari) is made by dipping squid rings marinated in salt, pepper and oregano in batter made of semolina and bread flour. These rings are then deep fried (just like onion rings). 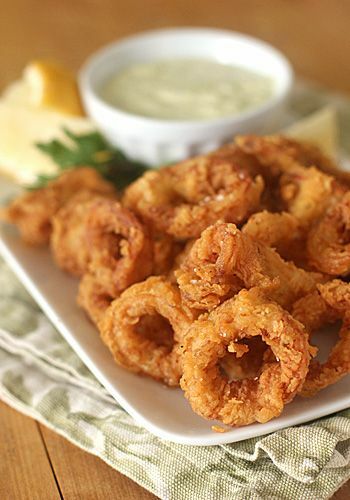 They’re quite easy to prepare but the final result depends greatly on the quality of calamari. The Greeks use fresh squid instead of the frozen variety, which is why it always tastes so yummy. 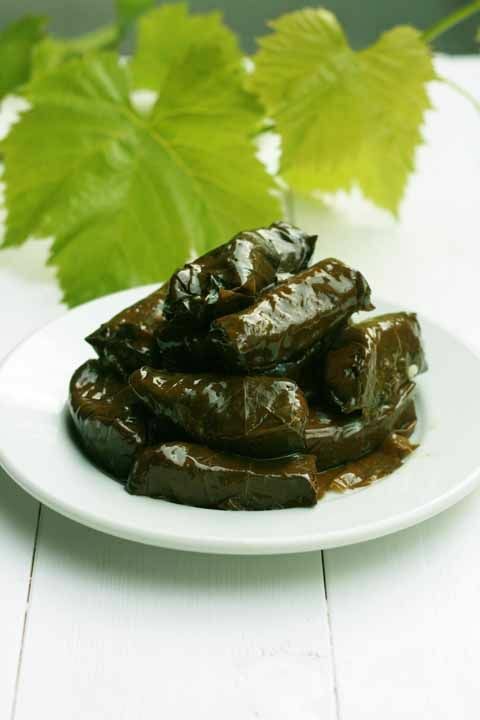 Dolmades are one of the classic Greek food items and are often served as appetizers. Simply put, they are parcels of brine-pickled vine/grape leaves wrapped around lightly herbed long-grain rice (which is the stuffing). Some varieties of dolmades also incorporate meat in the stuffing. Eaten as finger foods, they are rich in flavor and unique in aroma. Not to be missed! And now for the Grecian desserts! Bougatsa is golden and creamy perfection on a plate. 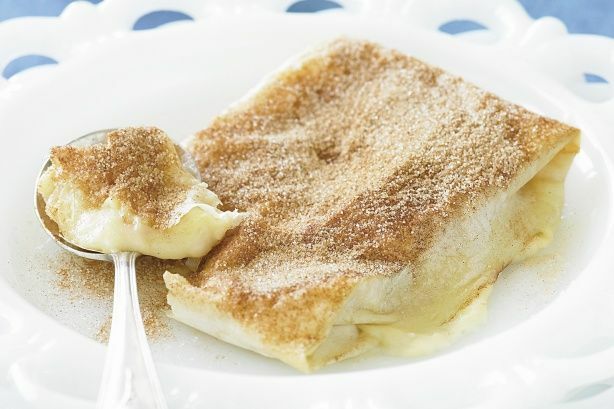 It is a traditional Greek dessert made with the richest custard filling wrapped under a golden-brown crisp filo pastry. It is sprinkled with icing sugar and powdered cinnamon right before it is served. The great thing about it is that it can be eaten at any time of the day – as a delightful and wholesome snack or a gratifying dessert. Do enjoy the lovely bougatsa while it is still warm! 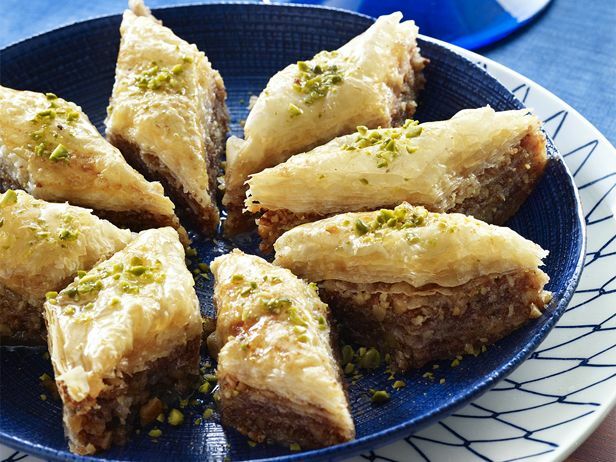 The ever-famous baklava is a well-known dessert and is relished in most parts of the world. This dessert has managed to be around and retain its popularity since ancient times. From the looks of it, a tray of baklava contains small squares of crisp filo pastry with a layered filling consisting of chopped nuts. This pastry is drenched in fragrant honey-based syrup. Baklava is typically eaten warm. If this doesn’t make you salivate, I wonder what will! 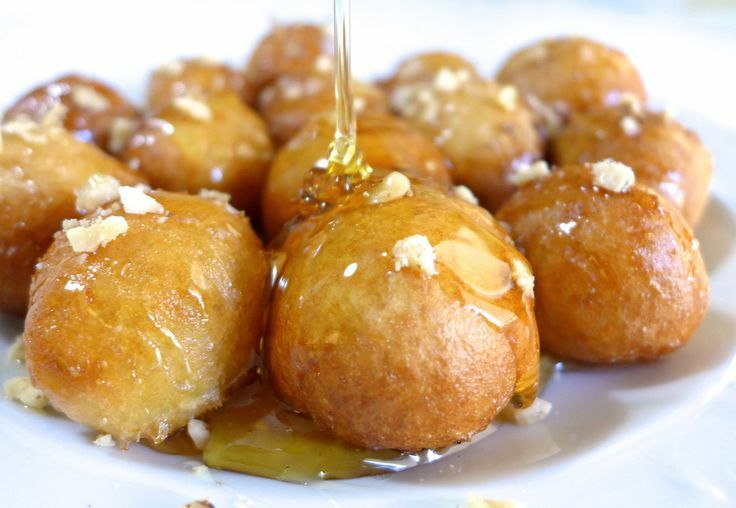 Popularly known as the Grecian equivalent of donuts, Loukoumades are actually made by deep frying dough balls. These balls are then soaked in sugar syrup, or honey and cinnamon/nutmeg syrup and sometimes sprinkled with sesame seeds and/or powdered sugar. In ancient Greece, Loukoumades were served to the winners of the Greek Olympics. Makes sense! Experimenting with a cuisine can be a lot easier when you have an idea of what its food is all about. Greek food is one of the best foods to try as most of the ingredients are anyway eaten all over the world. So when you decide to head to a Grecian restaurant next, do keep the above dishes in mind and give them a try. They’ll surely leave you mesmerized. Disclaimer: Please note that some food items may contain or have traces of eggs, nuts, and nut oil or may have been made along side other products containing nuts. Despina’s Cafe cannot be held responsible for any issues resulting from food allergies. Copyright © 2019 Despina's Cafe, LLC. All rights reserved.